Yes, I know this is off topic. But, I hasten to point out that many of my followers play string instruments, as do I. So it may be of interest to those folks that I have been at it again, transcribing from one venue to another, which would be considered quite normal in Haydn's day. 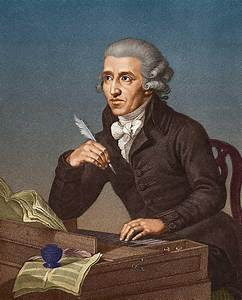 Many of the symphonies of Joseph Haydn, delightful as they are with wind doublings, work very well as string quartets. Titled "Sinfonias" by the composer, these charming morsels provide an informing glimpse into the musical development of one of the Classical period's great composers, the composer credited with inventing the string quartet. 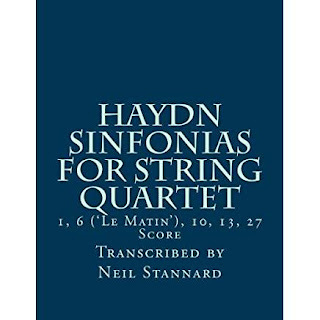 Do we really need more Haydn quartets, someone asked. Well, I respond, does one really need a slice of Sacher torte or a glass of schnapps? Play through these movements and travel along in time with the composer as he almost single-handedly invents the classical style. 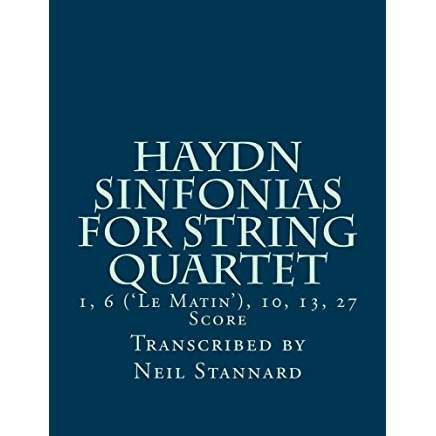 Have a look at these five Sinfonias, full score and individual parts, at Amazon: Haydn Sinfonias for String Quartet.